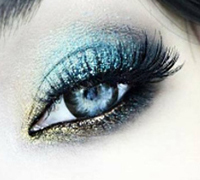 Thanks to these amazing grey contacts with feather pattern you will look amazing. They go perfectly with any make-up. A pack consists of two contact lenses. If you want to look different and catch people's attention, these lenses are perfect for you. Neo Cosmo N018 Black Cat contact lenses have a very universal colour that goes well with any type of make-up or skin complexion but what makes them special is the feather-like pattern they feature. They look fantastic!